After a sleepless night listening to the excesses of drunken youth I felt a sense of relief to be departing from my hostel in Lviv. Despite the considerable effort it took for me to rouse the besotted front desk clerk from an alcohol induced slumber, I did manage to have him call a taxi which arrived right on time. The sun had yet to rise over the city, so an endless series of street lights guided the taxi’s way to the train station. My zombie like state was worsened by the glaring blur of fluorescence. With my head screaming I arrived at the station a little too early. My train to Kiev would now leave for another 45 minutes. I dragged myself into the waiting room, hoping to stay awake long enough to not miss my train. I was surprised to find the waiting room packed with people before dawn. The station had been just as crowded when I arrived late in the night three days earlier. The place had also been packed a day earlier when I purchased my ticket to Kiev. I began to wonder if the station acted as a permanent residence for a subset of Lvivians. It would have made a great short story. These people always on the verge of leaving, filled with hope and expectation of new beginnings. Unfortunately they could never find their way to the platform. They were stuck in an eternal waiting room. This idea was intriguing and depressing, sounding a bit too much like life. I picked my way through the would be passengers, stepping over their baggage and bundles. I spied a vacant seat beside a sleeping woman, curled in the fetal position, taking up two seats for herself. Not long after taking a seat I smelled a foul odor. In my sleepless sensory state I had trouble discerning whether it was body odor or coming from the station itself. I looked down at the woman lying on the seats beside me. From what I could make out of her shriveled figure, she looked to be a bit grungy. I began to wonder if she was a passenger or a vagrant. About this time, a policeman who was making rounds through the waiting room walked up to her and proceeded to smack her half-heartedly with a baton. The jolted her, she looked up at him and tried to ignore this signal. He then stopped, looked at her again and gave her a harder smack. He then followed this with some harsh words. The woman, who happened to be ethnically Roma, raised herself up, scratched her head and after a couple of minutes left the seat. For all of Lviv’s architectural beauty, I could also see how it was part of a developing country. Poverty was in plain view and the police were brutish. In countries further west such as Hungary and Slovakia I had seen Roma begging in public transport stations, but the police tended to ignore them. In Ukraine, they offered an opportunity for a cop to exorcise his frustrations. 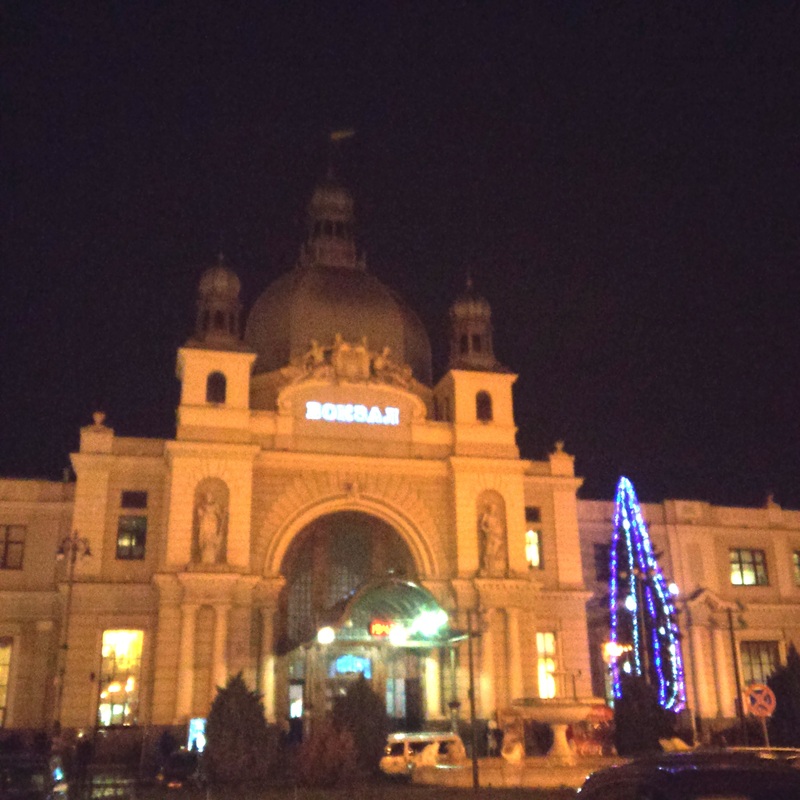 Bleary eyed, head throbbing, silently shaking, unable to think straight or for that matter at all, I boarded the train for Kiev Pas, the Ukrainian capital city’s main station. It would be a six-hour journey, but in my current state I would have been fine with a 12 hour journey. All I wanted to do was sleep and periodically wake up to have a look at the Ukrainian countryside. I had a second-class ticket, but from the looks of it everything was second class on this train. The seats were cheap leather with no arm rests, the passenger accommodations spartan with no hint of luxury or provisions made for comfort. I had little doubt that this train car came from the Soviet era. That was not all bad for Ukraine, since the Soviet Union at one time had been an empire that could afford to spend much more on infrastructure. 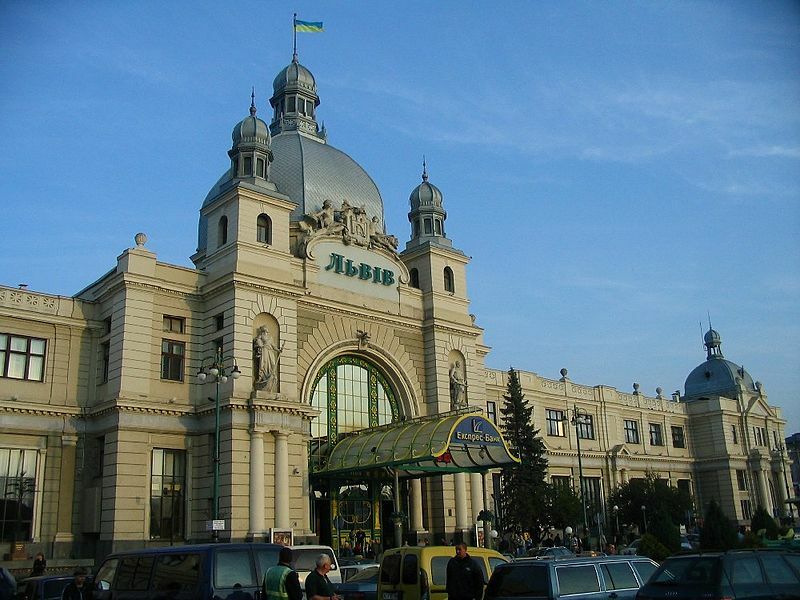 The nation of Ukraine had inherited a vast railway network. That was a good thing, since the country’s politicians and upper classes had spent the first two decades of independence stealing almost anything of value. Every time I saw anything rundown that was part of the public sphere I immediately thought to myself “the money to improve it must have been stolen.” Two years after my first visit to Ukraine, the people had enough of the systemic corruption and revolted. Speaking of revolts, as the train started moving down the track I began to second guess this trip to Kiev. Despite or perhaps because of my exhausted state, I was a nervous wreck, both worried and excited to be traveling eastward from Lviv. I was now moving further away from Europe culturally, economically and politically. Central and eastern Ukraine were heavily influenced by one big mother, in the form of Russia. Russia is neither completely European or Asian, it is a hybrid. Though Ukraine is officially the largest nation inside Europe, prior to the Maidan Revolution, it tilted more to the east than the west. This eastern orientation meant despotic rather than democratic government, oligarch dominated economies, the rule of lawlessness and disorder. I was unsure how any of this would affect me. The poor governance was too opaque for someone as unimportant as me to worry about, the oligarchs were people best avoided unless I took to valuing dishonesty and violence. On the other hand, Ukraine’s lawlessness could not be ignored. In Lviv, which was reputedly much better run than the rest of Ukraine, I noticed on several occasions that the police looked menacing. They seemed to exist outside of public control, wandering about looking tough and edgy. One English speaking Lvivian I met told me they were terrified of the police, but that fear was matched by a corresponding hatred. I did my best to avoid any encounters with law enforcement. That was something I likely would not have to worry about on this train, but there were more personal concerns, such as the bathroom. This is about the book I will never write and a film that will never be made. 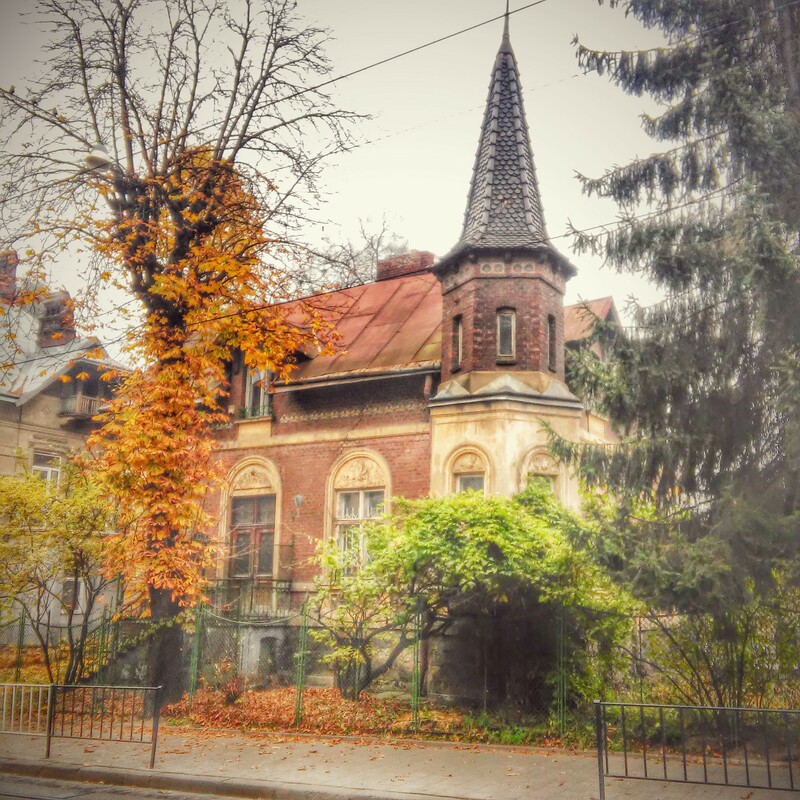 It is about a house that possesses my imagination unlike any other house I have ever seen, a house that in my imagining was home to the greatest assassination plot of the 20th century. This assassination could have happened and should have happened. Yet tragically it did not. The failure to carry out the plot cost millions of people their lives. It could have changed history and by extension the world we live in today. What did not happen is nothing more than history that will never be known, a double negative. Tragically the world never was able to experience the assassination of both Hitler and Stalin on a crisp autumn night in 1939 when they met at the train station in Lviv. Most say they never met that evening, but a few believe they did. I am one of them. No one knows about the plot to assassinate them, other than me. I was not there at the time, I am only here now. I believe there was a plot conceived at the Ostroverkhova Villa in Lviv. The house is still there, but it is empty, as empty as the pages of history that will never mention what did not occur. There is now only silence in that villa where voices once plotted to save one world from another. 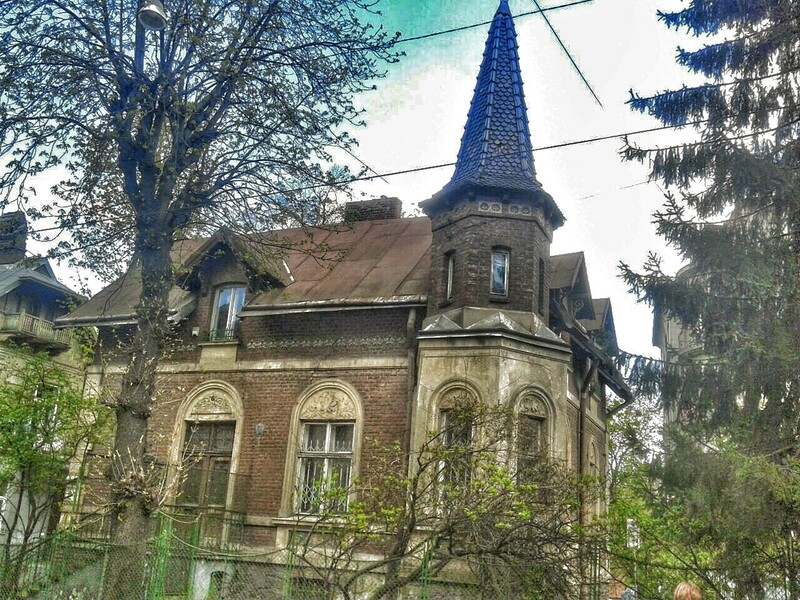 The Ostroverkhova Villa (also known as the Villa on the Cross because it stands at the intersection of three streets: General Chuprynky, Kyiv and Kotlyarevsky) first came to my attention when I stumbled upon it while wandering around lost in the Kastelivka district of Lviv. It is fabulously situated, placed on a corner separate from any other buildings, surrounded by what are supposed to be gardens. Due to neglect, the grounds have deteriorated. This gives the building a fin-de-siècle look and feel. The villa was constructed right at the turn of the 20th century. Much of its uniqueness comes from the neo-romantic flourishes that are rarely found in such a small scale, single-family structure. It has a six sided tower with tiling. The façade contains ceramic decorative ornamentation. The tower gives it a regal presence, the decorative work a festive folksiness and the slowly degrading exterior a gloomy, ominous feeling. Time passed it by long ago, but the villa managed to spin time backwards for me, taking my imagination back to the latter part of 1939, just after the first act had closed in what was to become the worst war in human history. Many years ago, in a fit of maniacal egotism I conceptualized what I believed would be the greatest story never told. The stimulus came from a few pages in Edvard Radzinsky’s Stalin: The First In-depth Biography Based on Explosive New Documents from Russia’s Secret Archives. In those pages Radzinsky replicated a letter from the Director of the American FBI, J. Edgar Hoover, stating that Hitler and Stalin met secretly in Lvov (the Russian name for Lviv) on October 17, 1939. At this meeting they were said to have signed a secret military treaty. The genesis of this story comes from a railroad worker who spoke about it 33 years after the fact. The man might have been a lunatic or a liar, a weaver of outlandish tales. In addition, anything that has Hoover’s name on it is suspect, since he was a man known for deceit, duplicity and innumerable lies. The meeting could not have happened, could it? It seems impossible. Is anything really impossible when it comes to the world of the imagination? Of course they met that evening, their trains pulling into the station under heavy security. 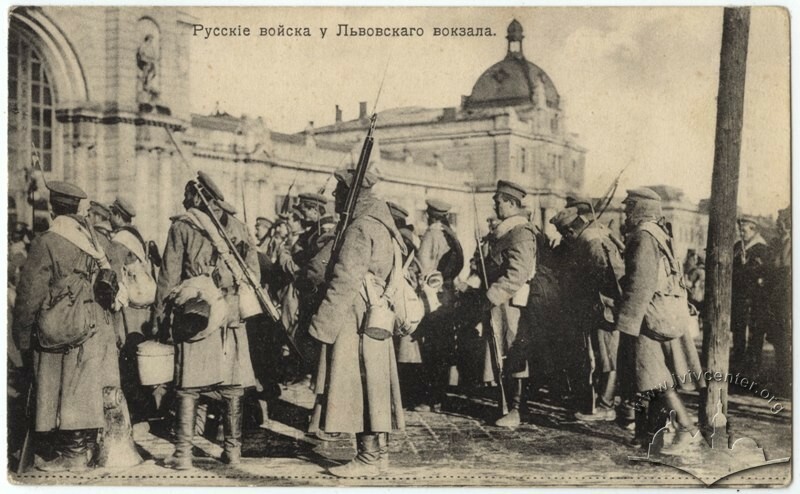 A small nation’s worth of men under arms, men who would be killing each other less than two years later, surrounded every nook, cranny and corridor of Lviv’s train station that evening. First Hitler’s train arrived. Then he waited on Stalin. Stalin always made people wait, whether it was Hitler or the rest of the world. His tardiness was as predictable as the German’s punctuality. Stalin’s train finally arrived an hour late. It came to a screaming, steaming halt. 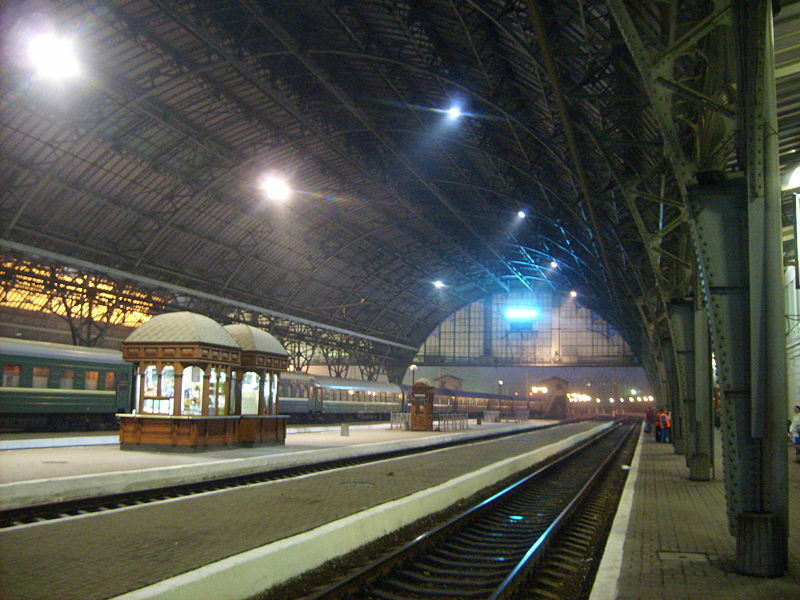 A few minutes later, surrounded by armed guards, Hitler and Stalin made their way to a separate, detached train car. After an exchange of laconic and insincere pleasantries the two men got down to making peace so they could prosecute war. Little did either realize their life should have ended at that very moment. Where did the threat come from? It had been planned and plotted for months by several people working out of the Ostroverkhova villa. There is no documentation of this, there never will be. The conspirators worked in secret, coming and going in seemingly random fashion from the villa. They came and went much like those famous and forgotten, suspected and arrested who had lived there since the villa’s construction. There was the Polish mathematician and academic Zaslav Dzivinsky, there had been a couple of Jewish inhabitants, Shulim Wallach who made his fortune as a merchant and another followed by Leopold Muenzer who gained his fame as a pianist. Then there was the Ukrainian journalist and activist, Vladimir Kuzmovich. The conspirators were a microcosm of these men who had lived there in the years before. They shared their same diverse ethnic backgrounds, their belief in freedom and capitalism. They also shared a fear for their lives. As intelligentsia, as anything other than Soviets or Fascists, they were marked men with time a ticking bomb, that was about to explode their lives. They were Poles, Ukrainians and Jews, a motley assemblage of conspirators. Natural and national foes brought together by a common goal, to kill two psychopathic dictators before they murdered even more innocents than they already had. Foresight is a strange gift, to see a future of camps and mass graves, late night knocks on the door, the trusted becoming traitors, and the traitors becoming the betrayed, to see that mass murder will stalk the streets of every village and city, that entire nations will be consumed by flames, takes more than a leap of imagination. It takes a deeply embedded belief that the most horrible things are certain to happen, that they are inevitable and that it is just a matter of time. And that belief propels the will to action. It was time to try to save millions because the point at which it would be too late had almost arrived. The moment had arrived when there was nothing left to wait for. If only they had not trusted that one man the way they trusted each other. That Nikolai Ostroverkhov was quite the man. He collected so many beautiful works of art. How he managed to acquire all those pieces was always open to question. He was so shrewd, so suave, so sophisticated. It was as though he walked right out of one of those beautiful paintings he had hung on the villa’s walls. He hung those paintings, the same way the conspirators would later be hanged, with savage delicacy. Ostroverkhov was like a force of nature. He always got what he wanted, but no one could ever quite figure out how he got it. Who was he working for? Which side was he on? He had as many sides as that tower which soared above the villa. He also had at least that many contradictions. In that world who could you trust? Ostroverkhov was as good or bad as anyone else or so he made them believe. Right up until the last time they saw him, which was the last time they saw each other. They met that evening at the villa. The first time they had all been together in the same room. The plan was sound yet simple. There was a map, there was a bomb. Everyone was dressed in Soviet secret police uniforms. Their documents were correct in their incorrectness. Months of planning would all come down to a few minutes of execution. Execution was the key. This night like so many nights to come in Lviv would be all about execution. They were ready for this and Ostroverkhov made sure the enemy was ready for them. As he bid them farewell, they opened the door, their look of dead seriousness suddenly turned to one of terrifying surprise. They walked right into the outstretched arms of the NKVD. In that moment the possibility of one world ended and a new, more horrible one continued to be born. When it finally came to life, it would mean the death of millions, an impossible thing to imagine. Almost as impossible as the plot to save one world from another that was conceived at an old and crumbling villa in the Kastelivka District of Lviv.